I was pleased to work with the Massachusetts Department of Transportation and Essex officials to expedite this important project. 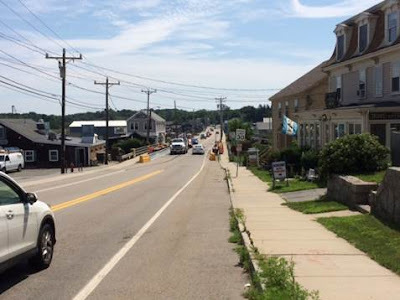 ESSEX – The Massachusetts Department of Transportation has announced that structural repairs on the Route 133 Bridge over the Essex River in Essex are now complete and two-way traffic over the bridge has been restored. The portable signs that were advising travelers of one-way traffic have been removed, and the traffic barriers are now relocated to the sides of the bridge deck. In the near future, crews will be installing permanent double yellow centerline pavement markings over the bridge. MassDOT has appreciated the cooperation and support of local officials and the traveling public while the restrictions were in place and the interim work was in progress. Traffic in each direction was previously restricted to one way alternating traffic in May after an inspection of the bridge discovered deterioration to the external bridge beams.